“One cannot think well, love well, sleep well if one has not dined well,” Virginia Woolf once said. Woolf’s sentiment is one that the staff at the Smithsonian’s National Zoo in Washington, D.C., take to heart. The animals there dine not just for nourishment but for the delight of all the senses and of the mind. So forget the reservations, white tablecloths, mother-of-pearl caviar spoons and the like. 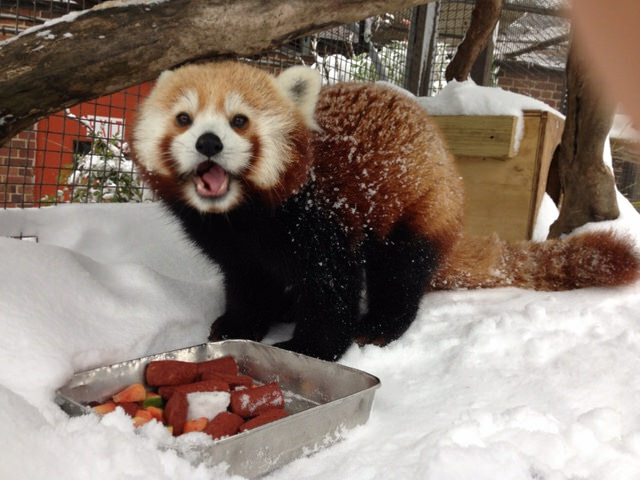 There is a lot to learn about the art of fine dining—National Zoo style. Who doesn’t love the sweet smell and enticing taste of pumpkin spice? Warm feelings of fall leaves and cozy fires bubble to the surface when we detect that first whiff of this spicy goodness. 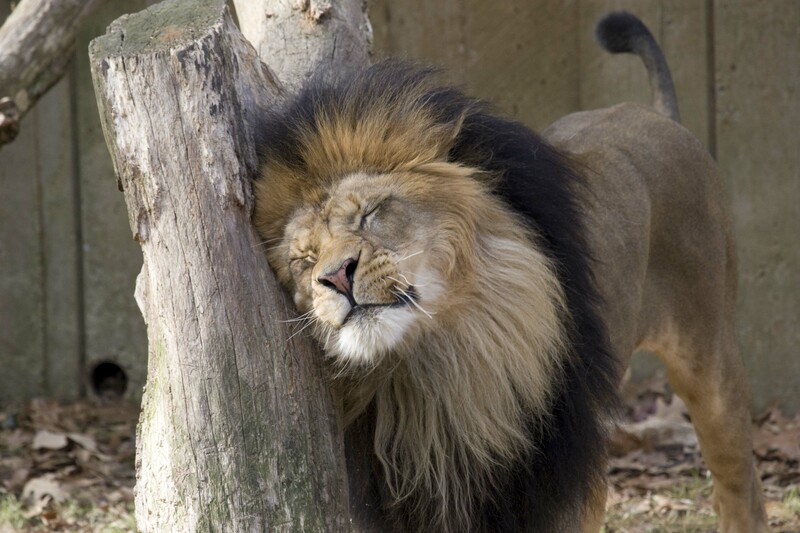 Turns out, lions love this seasonal scent just as much as we do. “The lions take a long time rolling around in that scent and getting it all over themselves,” says Hilary Colton, animal keeper and vice chair of the National Zoo’s Enrichment and Training Committee. Zoo staff scatter a range of spices, extracts, fur and other scents around the Zoo’s many animal habitats, encouraging animals to sniff and explore. Pumpkin spice is a favorite of the lions, sending them into a flurry of activity—rolling, rubbing and scent marking. You would expect only the finest ingredients at a Michelin-star restaurant and the animals at the Zoo receive nothing less. Like a top-rated restaurant, the day starts before the sun has risen with trucks–the very same that deliver to local grocery stores–dropping off a range of fresh fruits, vegetables and meats. 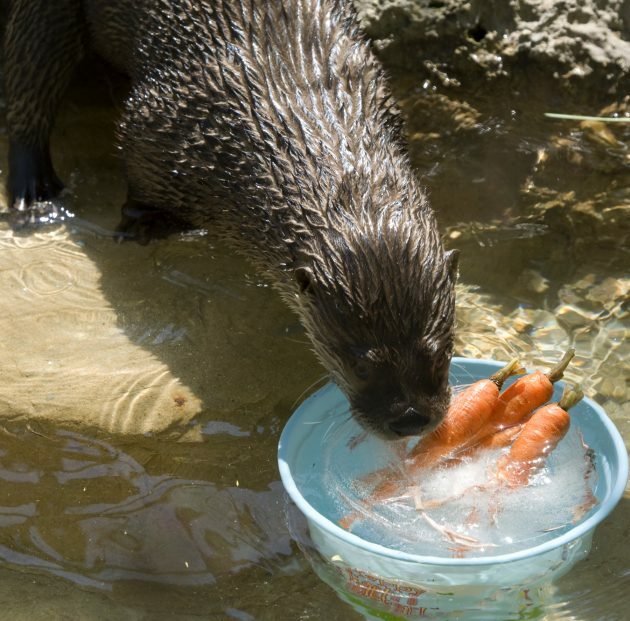 In addition, the zoo’s commissary gets some very special deliveries that are popular with its animal patrons. “Mealworms and crickets come into the building once a week but they don’t stay long– they immediately they go out to the park. If we store insects here we have insects running all over the place,” Maslanka says. While the meerkats and dwarf mongooses in the Small Mammal House love to dine on the live crickets, delivering their food can be challenging. 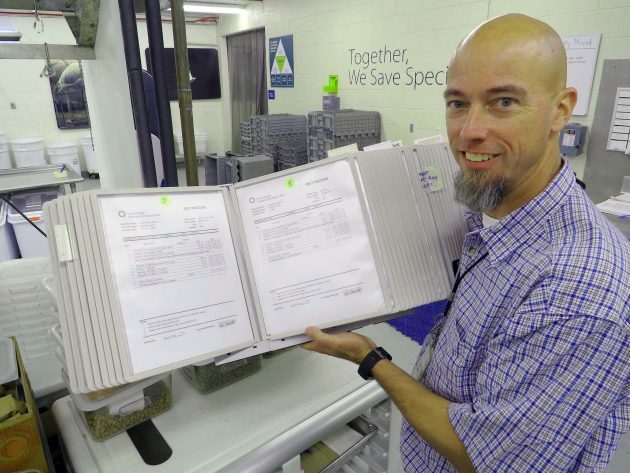 “Sometimes, with the UPS truck full of crickets, we’ll have the great cricket escape because one of the boxes has accidentally opened,” he says. The simplest of foods can give us the greatest of pleasures. Take air-popped popcorn for example. By itself, it is a light and tiny treat, but add it to a length of specialized PVC pipe and it creates hours of fun for the Zoo’s elephants. 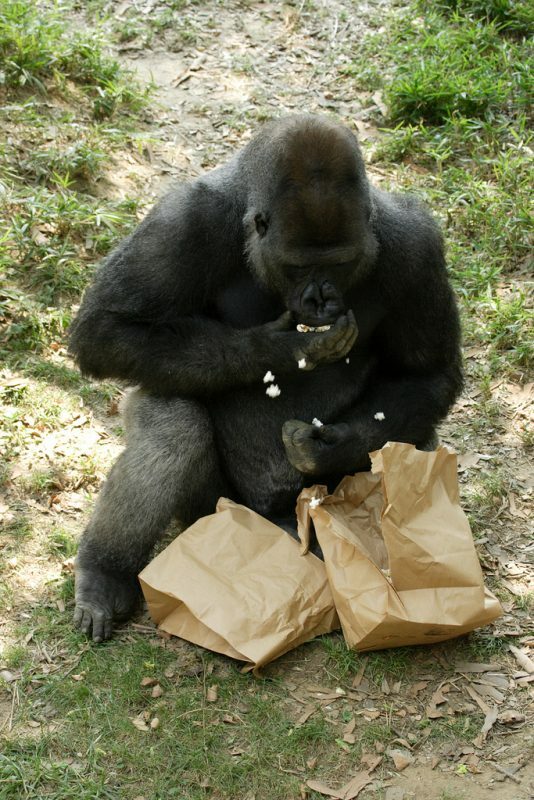 National Zoo silverback gorilla, Baraka, enjoys a bag of popcorn as part of the Zoo’s enrichment program. Gorillas are cognitive primates that spend much of their day foraging for food in the wild. 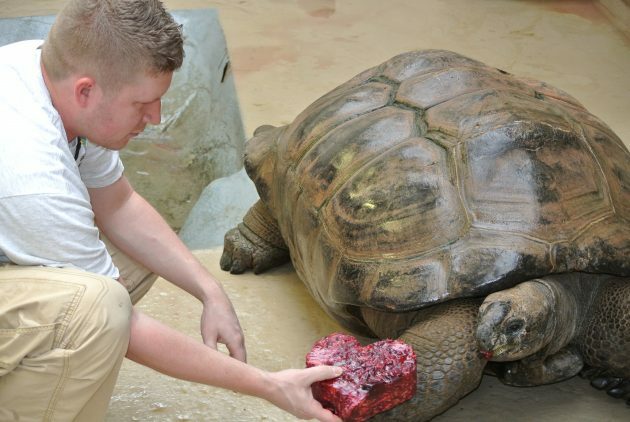 Zoo animal care staff and nutritionists keep them mentally stimulated through food-based, problem-solving activities—such as figuring out how to open a bag containing delicious popcorn. Popcorn is a popular food for encouraging natural foraging behavior in elephants and apes. 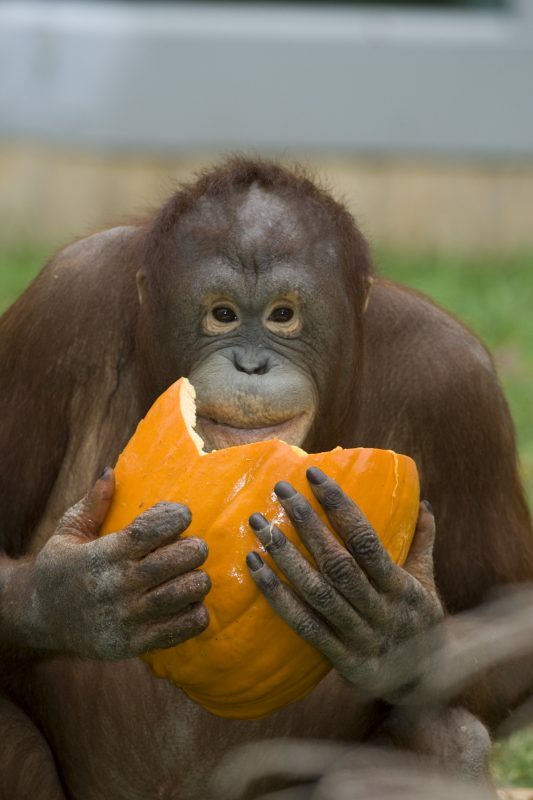 Spending hours picking through the grasses of their exhibits to find all the individual pieces of food helps the apes stay mentally stimulated and engaged with their surroundings. 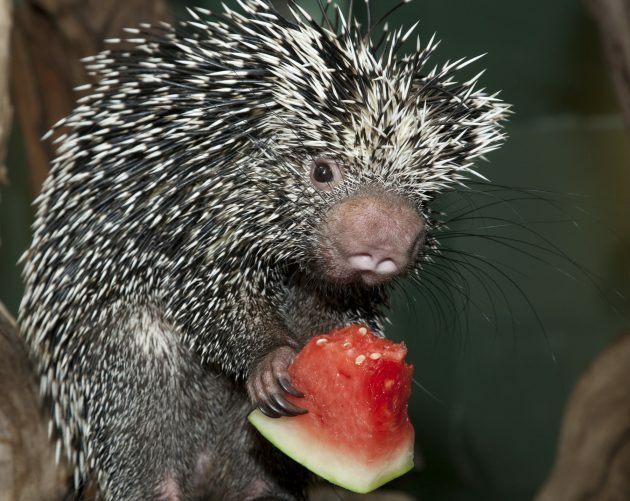 Many people like to add extra flavor to french fries with a little ketchup or mustard, and the animals at the Smithsonian’s National Zoo are no different. This is especially handy when the clinical nutritionists at the Zoo need to get a picky eater excited about a healthful but uninspiring meal. Beet pulp is a far cry from french fries. It resembles cardboard but is high in digestible fiber. Normally fed to horses, this dry shredded material is produced from the remains of sugar beets after the sugar has been extracted. Beet pulp in itself is not all that appetizing to its intended elephant diners. But add a little hot sauce, and you have a winning dish. 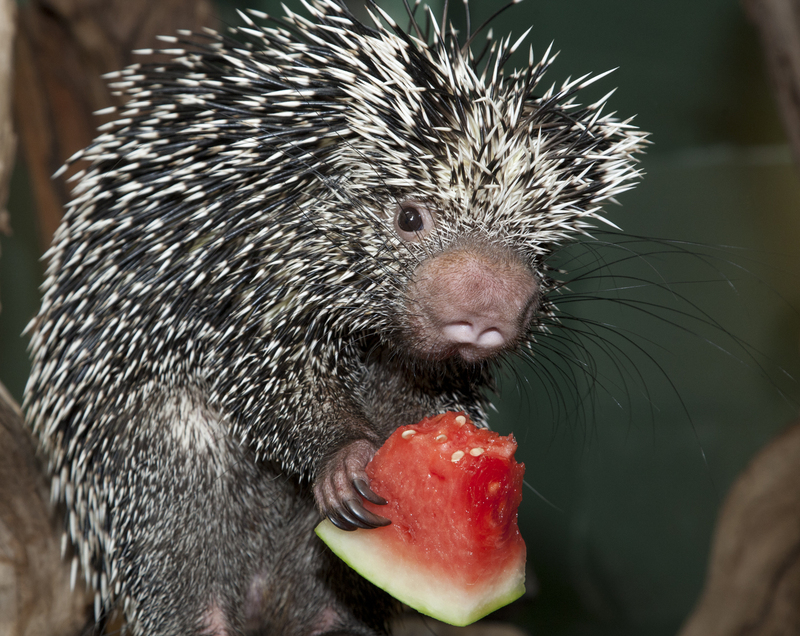 The Zoo was into farm-to-table dining long before the trend took hold in Washington, D.C. restaurants. 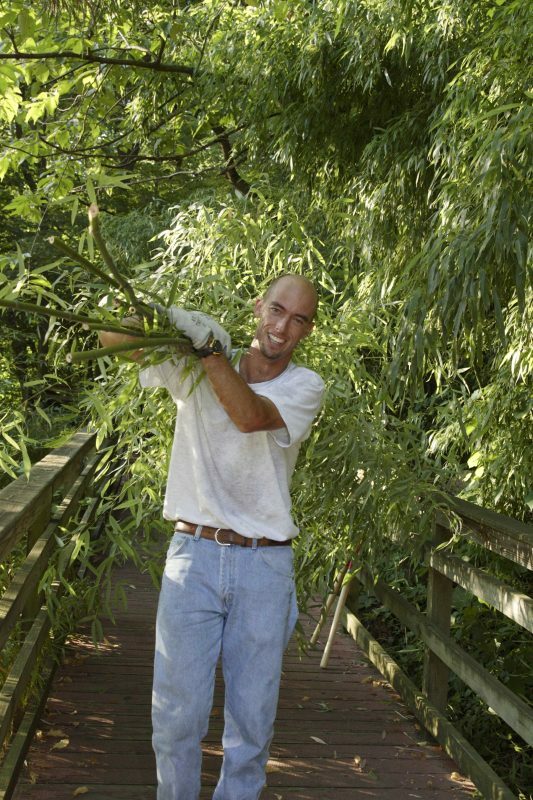 The Smithsonian’s National Zoo and Conservation Biology Institute (SCBI) is the only such organization in the U.S. to grow all of its own hay forages, including the mountains of bamboo to feed its famous pandas. 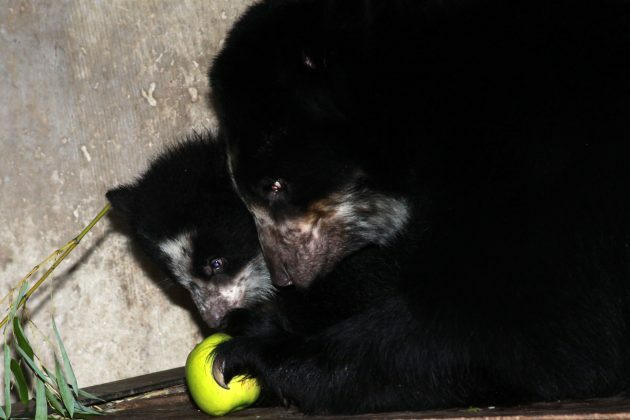 While keeping a giant panda in bamboo can be challenging, this fibrous food is not the only leafy delicacy grown for them. Corn also is grown in small amounts, not only on the 3,200-acre SCBI property at the facility in Front Royal, Virginia, but also on the Ape House’s rooftop garden. One animal’s leftovers are another’s treat. What the pandas won’t eat, the apes are more than happy to munch. 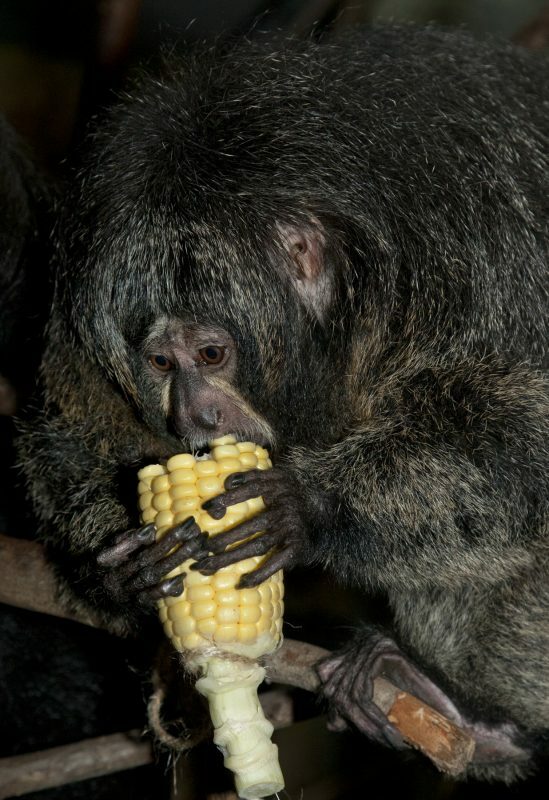 “When fresh corn is in season the apes take advantage of that. They like the stalks and the silks as well as the actual vegetable,” Colton says. Any dinner party host knows that it can be difficult to serve a meal that will make all of your guests happy. But most hosts don’t make an individual meal for each guest, unless you are among the dedicated commissary staff at the National Zoo. 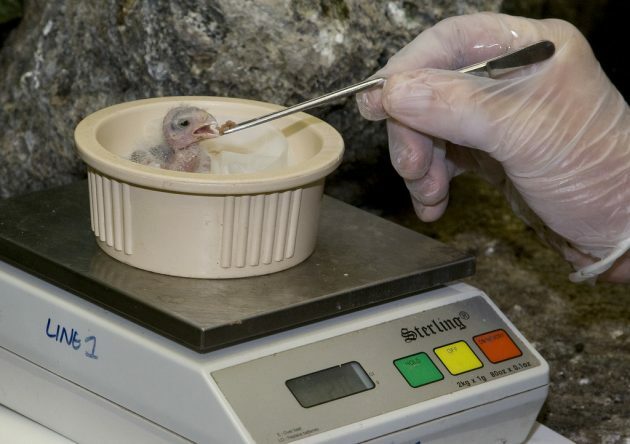 To guide this mammoth task, each food preparation station in the Zoo’s giant restaurant kitchen has a diet book that outlines the meals for more than 1,800 animals dining at the Zoo each day. “We provide variety by providing a rotation of items that vary day to day,” Maslanka says.